Flaster Greenberg’s Aviation team recently represented Elmira Corning Regional Airport, a county-owned public airport in Chemung County, New York, in a $61 million terminal modernization and renovation project as part of the Upstate Revitalization Initiative in New York State. Following a lengthy competitive submission process, four airports each were awarded grants in the amount of $40 million as part of the Initiative, which focused on long-term economic development and revitalization in upstate New York. Of the four grant recipients, Elmira Corning Regional Airport was the only airport to undergo construction throughout 100% of the facility while remaining fully operational during the course of its renovations. 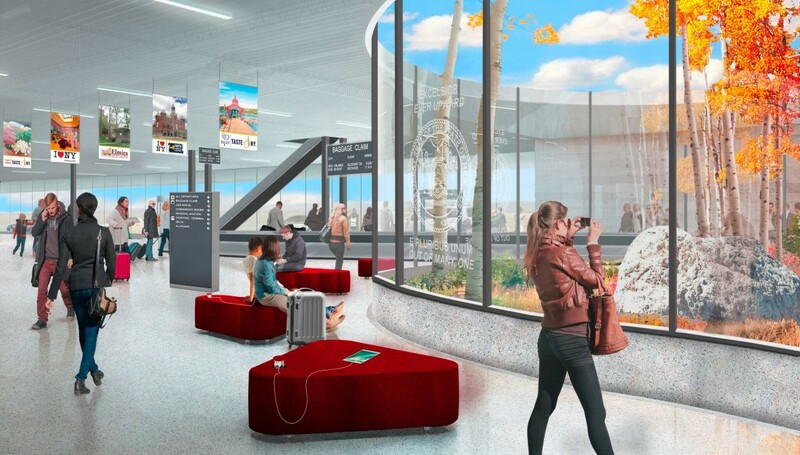 This was also the airport’s first major multimillion-dollar renovation project. Therefore, to help ensure a seamless operation and keep the project on schedule, it was imperative for airport executives to assemble a team of experienced legal counsel to guide them through both the New York State grant reimbursement process and the often challenging and complex renovation process unique to airport facilities. The Flaster Greenberg team, which consisted of Daniel B. Markind and Lauren N. Schwimmer, was engaged by Elmira Airport to act as counselors and high-level legal advisors to ensure that the project went from broad conception to full completion in the allotted 24-month time period. The FG team oversaw compliance with government regulations, procuring of the necessary financing through the Federal Aviation Administration and Chemung County to fund the remainder of the project not covered by the state grant, and streamlining efficiently all communication channels with the various parties involved, including federal, state and local agencies, contractors, and subcontractors. The grand opening of the new terminal attracted people from all over the state for the ribbon cutting ceremony last November, including New York Lt. Governor Kathy Hochul, as well as other state and local representatives. The airport now offers a more efficient flow for travelers, which includes updated infrastructure, a raised concourse and food and beverage kiosk options. Additionally, the state-of-the-art facility has a completely new design using open-air landscape courtyards and extensive glass walls that create a sense of walking through the woods. The renovation project has yielded high praise from many in the aviation industry, especially given the scope of the project, number of parties involved, limited financing options available, and strict deadline requirements. It’s also been widely reported by the media in upstate New York. For more information on Elmira Corning Regional Airport, follow them on twitter at @ELM_Aiprort or visit www.FlyELM.com.